Transendant piano concerts, piano teaching, and piano accompanist! Play piano and build a forever foundation for making music! Energized, creative, and intuitive, Tamara develops thoughtful learning experiences that build a strong foundation of playing technique and music theory. Tamara is a skilled pianist and a professional musician who is passionate about staying current with best teaching practices and passing on the art of playing piano. Tamara is In tune with each child's or adult's dreams and imagination. Tamara's teaching creates a safe, nurturing and caring relationship with families who aspire to a whole musical experience. Tamara's hope is to provide a piano program that inspires a life of music making. 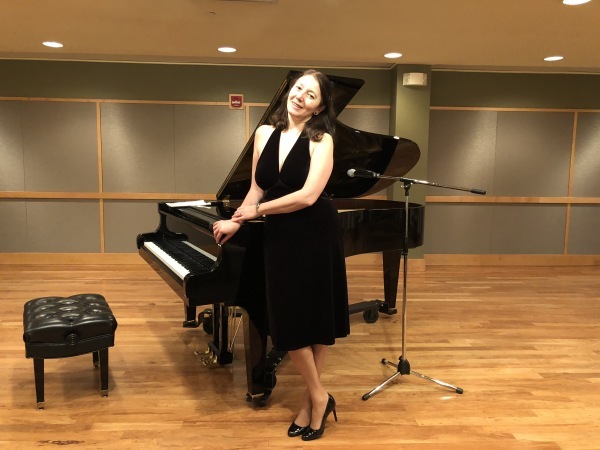 Tamara Sarajishvili Dominguez currently enjoys engaging performances at Whitehall of Deerfield, Three Crown Park In Evanston, Solana Deer Park, Glenview Terrace, The Mather in Evanston, Covanant Village, Northshore Place and Lake Forest Place. For ballet, singers, musicians, choirs. Tamara Sarajishvili Dominguez was born and brought up in Tbilisi, the capital of Georgia (then part of the USSR). Tamara started playing piano at the age of six and was immediately accepted at the prestigious Music School for Gifted Children in Tbilisi. During Tamara's study at this school, in addition to taking part in numerous concerts, she performed with the Georgian State Orchestra several times. From 1986, Tamara studied piano at the Tbilisi State Conservatoire, finishing her studies in 1991 with a Master's Degree under the guidance of famous Georgian pianist Nino Chirakadze. On completion of this course, Tamara was awarded the Diploma 'Higher Education Degree' in the former USSR. According to this diploma, Tamara had the qualifications of professional piano teacher and performer. After graduation from the Conservatoire, Tamara started teaching piano at the college of Instrumental and Performing Art in Tbilisi and also continued her performing career with pianist Tamara Sakvarelidze-Black. They gave duo recitals initially in Tbilisi and subsequently in London. 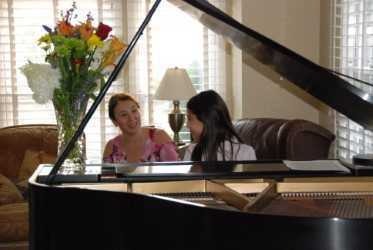 In 2002, Tamara worked for a period as a pianist at the Thistle Hyde Park Hotel in London. From 2003, Tamara moved to Paris where have completed the course at Conservatoire Supérior de Région de Paris (CNR) under the guidance of famous French pianist Yves Henry. Tamara continued her teaching and performing career in Paris. For several years, Tamara worked as an accompanist of ballet classes at the Russian School of Arts in Paris. The highlight of Tamara's teaching career was attending Al Bustan International Festival in Lebanon where her student was invited to take part by maestro Gianluca Marcianò. Tamara enjoys performing and has appeared in many and varied settings with repertoire ranging from light music to classical music. Tamara is fluent in English, French, Georgian and Russian. Without music, life would be a mistake"